The other day on the radio I heard an interesting story about a new form of advertising that has emerged in Japan. It is providing jobs for many women in Japan allowing them to make a living working typical 8 hour days. I was still unsure exactly what these women did, but know there are only two qualifications to being employed in this emerging field. First, you must be a woman, and second, you must be an active participator on social media with at least 20 connections. This offer just sounded too good to be true so I had to take a closer look. Upon further research my eyes were opened to a new form of advertising gaining incredible popularity in Japan, walking billboards. Young women are being paid by enterprisers to paste stickers or tattoos on their thighs and to walk around for 8 hours a day. The only additional work besides walking around, is taking the time to take photos of themselves over the course of their day showing off their brand and posting them on their social media account. This new trend has gained incredible popularity, it has been noted that since launch in 2012 over 1,300 girls have adopted this new profession. This form of advertising could become revolutionary in the sense that the number of people it could reach is unimaginable. Up until this point, the majority of billboards are stationary, but this new practice is a game changer providing ads with the unbelievable trait of mobility. This trend has easily assimilated into the Japanese culture, but would it see the same success in the states? There are a few individuals in the United States that have somewhat caught on to this trend, but instead of using easily changeable and what some would consider harmless stickers or removable tattoos, these individuals got permanent logos tattooed on their bodies. One man is currently in the process of raising funds in order to get tattooed advertisements removed from his face, but states that he is comfortable with advertisements on other places on his body besides his face. If this new trend reaches the states it could shake up the advertising industry and completely change the way some organizations will market products and ideas. However, it is debatable if there is room for this type of practice in the United States. Keep your eyes peeled though, walking billboards could become a new market in the future. I did not grow up an avid camper. In fact, images of soaking wet sleeping bags, bug-ridden campsites and a lack of running water filled my mind. However, I come from a long line of extended family that told me for years camping is the most relaxing vacation you can take. In 2009, my Aunt and Uncle generously opened their Class A RV to us, and we camped with them often over the next two years. We liked campaign so much that we made the big decision to purchase a Travel Trailer of our own In the Spring of 2011. Rent a cabin: Many campgrounds offer cabins for rent. This is a great way to test out the camping way of life, without purchasing a recreational vehicle. Cabins can come in all forms, with or without running water, private bathroom and kitchens. If any of these are on your must have list, make sure you check what types of cabins are available. Rent a RV: You can rent an RV from a company, just like a car rental. There are also private motor home rentals, or RV swaps that are available. This is a great way to test if you are comfortable with everything that goes into a camping vacation. From towing a travel trailer, driving a motor home, leveling your home away from home and extending the canopy there is no better way to know then to practice. 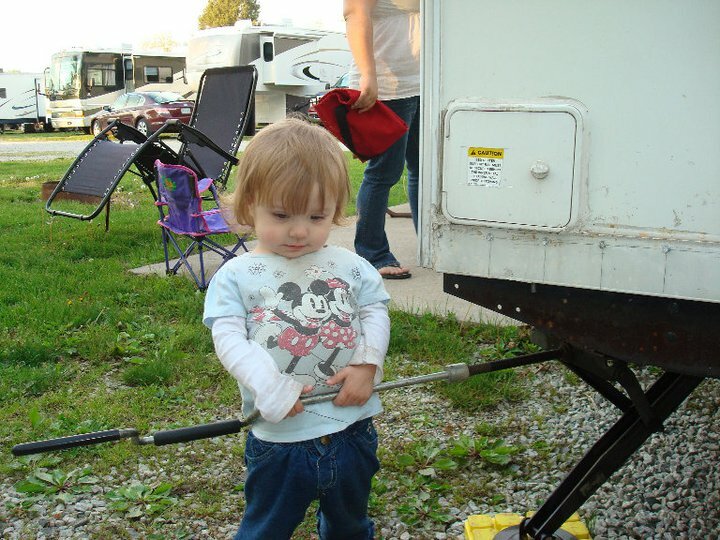 Attend an RV Show: Even if you are not ready to purchase a trailer, RV shows can be so much fun. 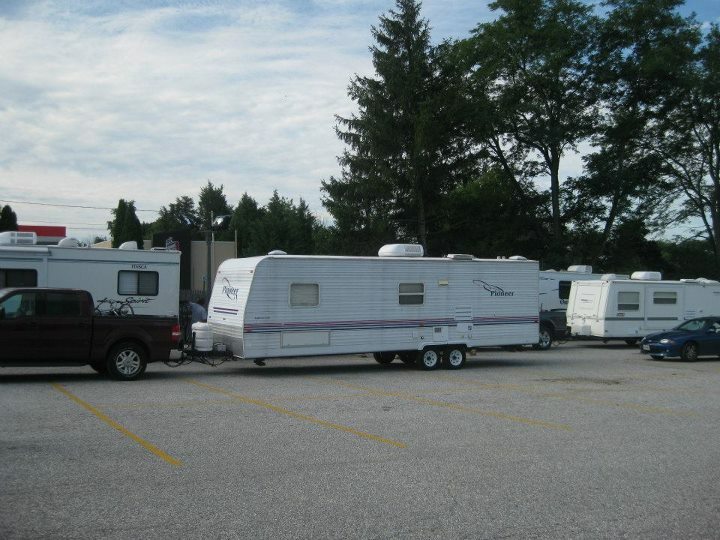 There are RV shows held across the country, with the largest held in Hershey, PA. Walking through countless RVs of all shapes and sizes will give you a great idea of what they have to offer. And if you are ready to buy, RV shows can be a great place to get a deal. 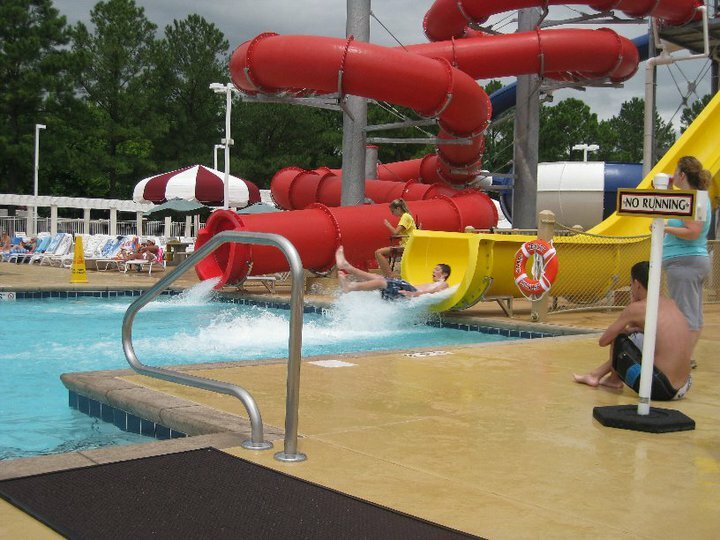 Beth Page Camp Resort: This campground in Urbana, VA is aptly named a Camp Resort. It truly has something for everyone. The docks on the Tappahannock River lead directly to the Chesapeake Bay for fishing and crabbing. There is a fresh water lake with a sandy beach and the 3 pools, water slides and splash park make options for all ages. Granite Hill Camping Resort: Located in Gettysburg, PA, Granite Hill offers access to all that the historic city has to offer. Touring the memorials in Gettysburg, shopping for antiques or fishing on their 3 acre trout lake are ways to spend the day at Granite Hill. If you are looking for a fall trip, their Halloween parade is not to be missed. 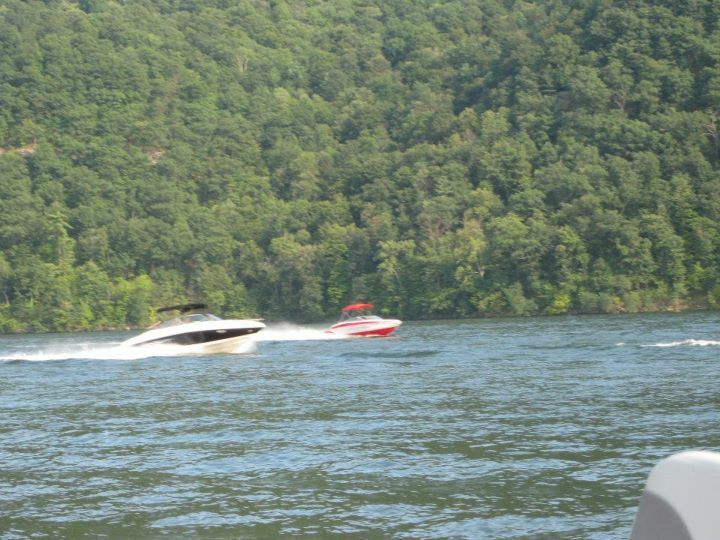 Heritage Cove Resort: Raystown Lake is an 8,000 acre lake nestled in the mountains of Huntingdon, PA. This state park offers 29,000 acres of bike trails, picnic areas, beaches, cliff diving and boating fun. Heritage Cove boasts their own boat launch, beach and water front sites. Go during the week and head out on the water for swimming, tubing or water skiing. 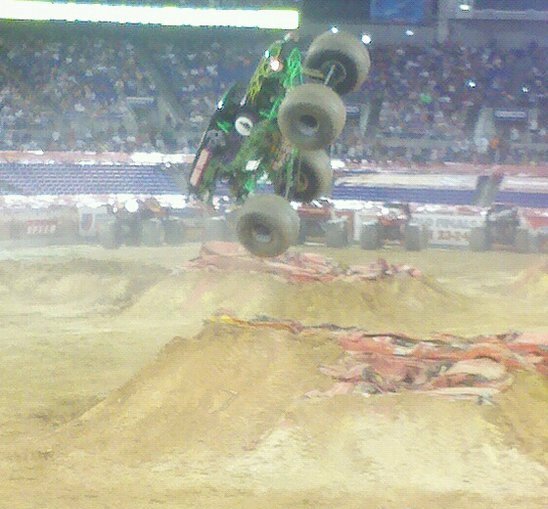 Grave Digger! This iconic monster truck is familiar to even those that are not monster truck enthusiasts. At this weekend’s show, you get to see not one Grave Digger, but TWO of them! They never fail to put on a phenomenal show. The Party in the Pits is a great place to take the kids prior to the event. Meet the drivers, get autographs, and stand in amazement at the size of the trucks up close and personal. The BMX Stunt Team will take your breath away. Their talent and daring will keep you on the edge of your seat, as they flip and make death-defying jumps around the course. 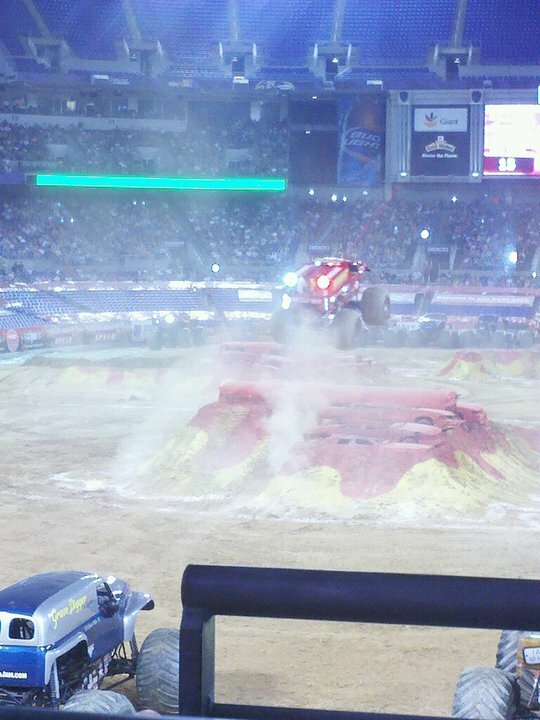 And finally, my personal all-time favorite reason to attend a Monster Jam show is to people watch! The show appeals to young and old, and it’s always entertaining to watch people’s reactions and enthusiasm as the trucks participate in each event. Make sure you check out the hairstyles and outfits in the stands. So, if you’re on the fence about whether you should go to Monster Jam or not sure if the event is for you, hopefully you’ll reconsider. You don’t want to miss this opportunity to see M&T Bank Stadium transformed into mounds of dirt, broken and battered cars and obstacles. And, just seeing those loud, gigantic trucks careening around the track will make you want to put a lift on your car and drag race after the show! Are you willing to “Show Your Soft Side”? 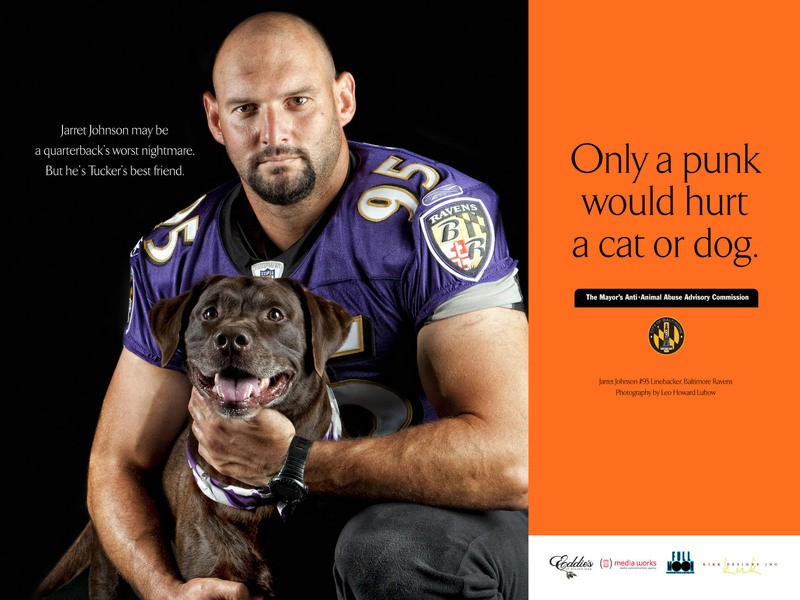 The “Show your Soft Side” campaign was developed to combat the increasing incidences of animal abuse in Baltimore. Media Works is proud to have contributed to such a great cause. The campaign was launched as a part of the Mayor’s Anti-Animal Abuse Advisory Commission. It is focused on changing the mindset of young people and reaching them early with a very clear message. Jarrett Johnson – linebacker for the Ravens, Adam Jones – Center Fielder for the Orioles and John Rallo – MMA fighter were the first to sign onto the campaign and lend their support. Lil Black – 92Q personality, Harlem Globetrotters, Dru Hill – R&B singing group, and Qadry Ismail – retired Raven and a member of the 2001 Super Bowl winning team are lined up to be additional faces for the cause. This campaign has been widely successful due to the hard work and generous donations of many Baltimore media outlets, who stepped up to the plate when we asked them to donate their air time and outdoor space. Clear Channel Radio, WERQ (92Q) and WBAL (1090) offered PSA’s while WIYY (98 Rock) and Style Magazine are running a fantastic promotion that includes a Show Your Soft Side contest. Bus shelters are plastered with the pictures of the men featured in the campaign thanks to CBS Outdoor. Direct Media was able to post these images on Lite Rail Panels in Baltimore City, with specific placement in front of Camden Yards. Eastern Outdoor donated space on one of their bulletins, and Clear Channel Outdoor provided poster panels throughout Baltimore to reach targeted neighborhoods. To expand the campaign into the interactive arena Media Works is managing the “Show Your Soft Side” Facebook Page (http://www.facebook.com/ShowYourSoftSide?ref=ts) and CBS Radio and PressBoxonline have donated space on their websites. This campaign is something that Media Works is proud to be working on. Where will it go next? Only time will tell, but when hard working people dedicate their time to an amazing cause GREAT things will result. 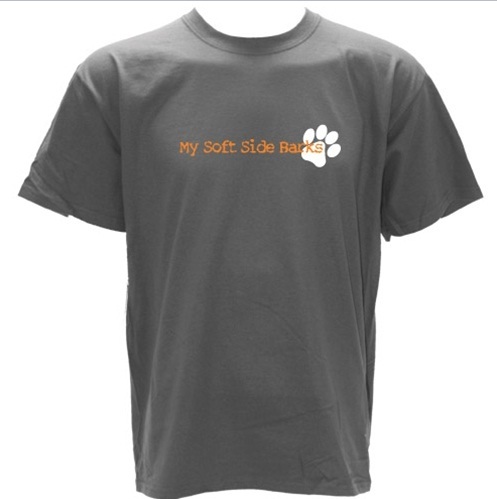 Check out the “Show Your Soft Side” swag @ http://www.swagdog.com/c-69-98-rock.aspx! And show your support. It is no secret that media plays a role in each of our lives. It is also no secret that social media is revolutionizing the way Americans receive their news every day. A perfect example of this phenomenon is the Casey Anthony trial. Many of us in the office have been riveted to the trial and have had daily conversations as it progressed. Many of these discussions were sparked by social media updates. These updates can be from media sources that have linked their stories to social media or from friends within our networks. Either way the news flies across the computer screen faster than anyone could have predicted 20 years ago. For those who can remember the OJ trial and the media hype that ensued it was impossible to not make comparisons this week as the Casey Anthony case came to its dramatic conclusion. Both network and cable news stations broke into their regular programming to air live coverage of the verdict. As with the OJ verdict, the public was stunned and disappointed. The following morning all 3 major network news shows led with the story and all the news magazine shows are jockeying for interviews with the various players involved with the case including jurors and attorneys from the defense team. During the 7 week trial, the cable news networks devoted considerable air time to covering the daily happenings. Former prosecutor Nancy Grace of Headline News turned the case into her own personal crusade referring to Casey as “tot mom” and calling for her conviction. Most of the “talking heads” let their disappointment be known and after the verdict was read the defense team didn’t waste any time in claiming their client had been the victim of a “media assassination” by the “biased and prejudiced incompetent talking heads”. Twitter and Facebook cast a far-reaching net of news across the globe, bringing minute-by-minute updates directly to people’s computers and smartphones. The constant stream of information reached its peak when the not-guilty verdict was announced. Twitter reports the keywords “caseyanthony” and “notguilty” were used 34,000 and 20,000 times an hour following the live announcement (Orlando Sentinel). Google showed that “caylee anthony” was the 3rd most searched term in the world shortly after the verdict (Orlando Sentinel). Since the verdict was reached there have been tweets and posts crying outrage and expressing opinions regarding the outcome. There are also Facebook pages dedicated to the trial. Pages such as “Cindy Anthony is a Liar” to “Porch Lights on for Caylee Marie Anthony” are places for people to express their opinions and show their support for a case that has gripped the nation. Watching the trial unfold via live feed on multiple web pages, following the constant Twitter updates and receiving detailed analysis of the trial on TV and cable outlets people across the US have been riveted by the tragic death of a precious little girl. 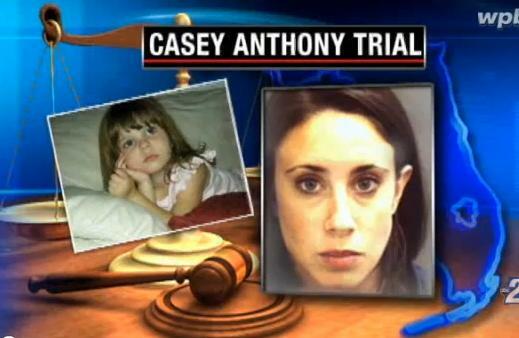 The next big question is “what’s next for Casey Anthony?” – will she rake in the big bucks much to the chagrin of the US public. 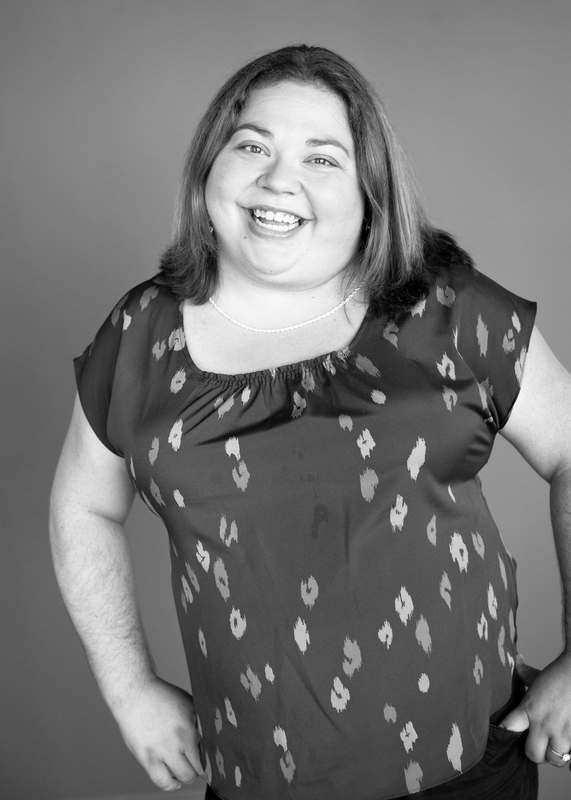 It’s already being reported that she has been offered $1 million to appear on The Jerry Springer Show. There is a catch – Casey would have to get her parents and her brother to appear with her – considering all that happened during the trial, that may be a hard accomplishment. The DVR has made its way into homes across America. Four out of every ten households own at least one DVR (Nielsen). For television advertisers this is a blessing and a curse. The DVR is helping the networks retain viewers by allowing them the flexibility to watch a show at any time they wish. Without this flexibility viewers would turn to other mediums, such as the Internet or Netflix, to watch their favorite shows. However, on the flip side the DVR allows viewers to fast-forward through content they do not wish to watch, which mainly means commercials. However, Nielsen recently released data showing that DVR households do in fact watch commercials. Playbacks lift commercial ratings by 44% among 18-49 year-olds; this has remained consistent for the last several years (Nielsen). The research also shows that the longer a DVR is owned the more accustomed viewers become to its features and the more time they watch only programs that are recorded (Nielsen). The top five most frequently recorded genres are science fiction, situation comedy, general drama, reality and evening animation (Nielsen). Sports and news are not surprisingly at the bottom of the list due to the content being timely. The DVR has led to many changes in the television buying realm. The Nielsen books are now released with DVR data and a buyer has the option to include the recorded viewers in their numbers. I am among the 18-49 age group that has a DVR. I have 3 DVR’s in my household and we use them with regularity. The only programs that I watch live are Sports and the News. I cannot imagine watching television live and I know that I would have a very hard time following my favorite shows due to our busy schedule. Do you use a DVR? Do you watch anything live, and if so what types of programs? And the all important question for advertisers, do you remember the commercials even if you fast-forward?